This wonderful little package from the Portuguese band Scar for Life is like a ray of sunshine on a bleak day. Overflowing with youthful verve, experimentation, and energy, it seems the order of the day for this sextet is all-guns-blazing on album number one, but they still succeed at keeping themselves from going overboard. Opener 'Kill the Past' brings on the heavy stuff and will likely find an audience among ears attuned to the �core scene in America. Does this make Scar for Life trendy? No. They're just in touch. Because aside from harsh growls and breakdowns, glimmers of death metal, John Petrucci inspired guitar pyrotechnics, and gentle instrumentals all have their time in the spotlight across this nine-song opus. Tracks like 'The Bleeding Gun,' 'Crawling,' 'One By One,' and 'Innocence Is Bliss' have as much radio rock and teenage angst in them to nudge these guys toward the mainstream. Yet the rollicking grooves and meandering pace of these songs keeps them palatable for those with more discriminating sensibilities. A mixed bag of cutting edge musicianship and deft composition reigns on the inventive instrumental 'Distant Shore,' where pseudo medieval guitars form a heartbreaking melody that could bring a few tears. Just as it starts to fade, 'Innocence Is Bliss' kicks the door in with its vivid ambience and epic bombast. The curtains finally come down for the title track, which brings the ride to a satisfying close. Sooner than you can say 'wow' your fingers have acted on their own volition and pushed play for a second spin. 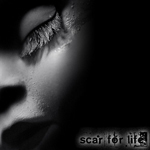 Bands usually go about their first albums hit and miss, but not Scar for life. With this self-titled debut, they've struck the bulls eye, proving that beneath the surface, talented bands are alive and well in the underground. These hombres are worth looking out for. In fact, skip the distros, forget the shipping costs, and just download this masterpiece via their web site. Bands usually go about their first albums hit and miss, but not Scar for life. With this self-titled debut, they've struck the bulls eye, proving that beneath the surface, talented bands are alive and well in the underground.